Amino acids are the building blocks of protein. 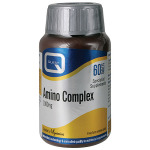 Essential amino acids cannot be manufactured by the body and must be obtained through diet or supplementation. 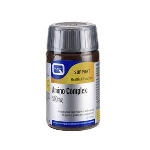 Essential Amino Complex provides free form essential amino acids to promote optimal absorption and assimilation. Copyright © 2017 nutrisun.co.uk. All Rights Reserved. We acknowledge that all trademarks, logos, product images and information belong to their respective owners. Registered office: The Good Life, 207 High Street, Sutton, Surrey, SM1 1JU. Registered in England. Company No. 05637049. Registered VAT No. 888 1663 70.